Two students at a Washington state high school, including the shooter, have been killed and four injured after one of them opened fire early Friday. Emergency calls were made late Friday morning local time at around 10:45 a.m. by individuals reporting a suspected shooting at Marysville-Pilchuck High School. 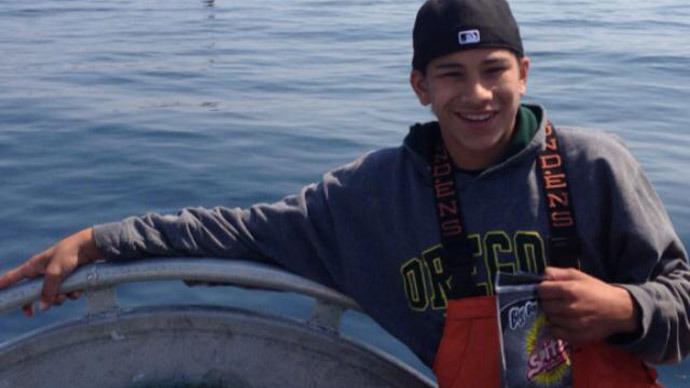 The shooter has since been identified as Jaylen Fryberg, a ninth-grader at the school. According to The Seattle Times, another student said Fryberg was angry at a girl who wouldn't date him. As many as five people were shot at the school by a student equipped with a handgun. Two people have died in the shooting, including the suspected attacker. Dr. Joanne Roberts, the chief medical officer at Providence Hospital, told King 5 News that three students were at the facility in critical condition following the shooting. During an early afternoon press conference, Lamoureux said that the shooter was a student at the school, but declined to release any identifying information. The Seattle Times reported that two law enforcement sources confirmed to the paper that individual had died from a “self-inflicted gunshot wound.” Citing anonymous students, CNN said the suspected shooter was a popular student who recently became the victim of bullying despite being named the school's homecoming prince. News from the Seattle suburb reverberated across the nation on Friday as eyewitnesses to the tragedy took to the internet to report what was happening from inside the school. "The Marysville-Pilchuck High School is currently in lock down due to an emergency situation,” the school said. “Police and emergency services have responded. The Marysville School District lock down procedures will remain in effect at Marysville Pilchuck until further notice from law enforcement. We will continue to forward communication in cooperation with law enforcement." “We are locked down…first the alarm went off any everyone thought it was a fire drill,” the teacher said, “then chaos.” Parents have since been warned not to approach the school as authorities continue to make sense of the scene, but rather to report to a nearby church at 116th and 51st. Marysville-Pilchuck is a large school with roughly 2,500 students. The shooter was reportedly in the cafeteria, according from tweets sent by individuals purported to have been at the school at the time. “The gunman in the lunchroom opened fire on several students,” one mother reported her child saying to local station KOMO News. Aerial footage showed students being evacuated, with some parents reporting knowledge that their children were safe. 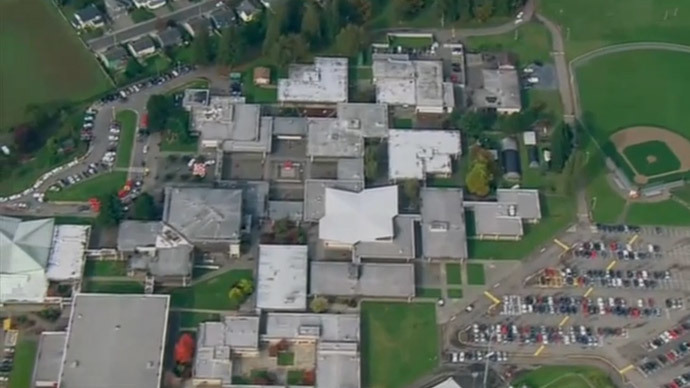 We have confirmed from #Marysville School District "lockdown for an emergency situation." Teacher inside tells @JoannaKIRO7 shots fired.